Hurricane / Storm Insurance Claims – Makris Law, P.A. When they do hit, hurricanes are no joking matter as they could potentially have the power to level your home to the ground. Even a common summer storm can come through within minutes with high winds and hail causing severe damage to your home or commercial property. During hurricane season, it is important to be prepared. After a hurricane hits, it is equally important to promptly take action by submitting a hurricane insurance claim to your insurance company promptly. It is important to protect your property from further damage and to mitigate your damages. Document the damage by taking pictures and/or video before making such repairs. Keep documentation (i.e. receipts) of all expenses incurred. It is likely that your insurance policy contains all of the above described duties. The same applies to storm claims, hail claims, and roof leak claims. Although a thunder storm may not rise to the level of a hurricane, it can still have the potential to severely damage your home or commercial property. Often times, storms contain smaller, yet more powerful cells of storms called microbursts. Microbusts have the power the tear pool screened enclosures and fences, and destroy your roof. The common summer storm which comes and leaves within minutes to hours can contain microbursts or can be strong enough to cause your roof leaks or torn or collapsed screened enclosures. Typically, homeowner insurance policies cover damages caused by both hurricanes and storms. 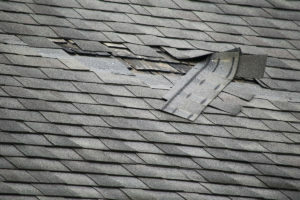 Depending on your insurance policy, this may include the damage to your home (i.e. roof), the ensuing water damage in your home, the emergency costs necessary to mitigate the damages, the damages to your personal property, and your incurred additional living expenses. However, commercial insurance policies contain a separate endorsement which includes or excludes hurricane/windstorm damage. If you do not know your insurance coverage, let us review your homeowners insurance policy or commercial insurance policy to see what is covered and what is not covered. Makris Law, P.A. is a Tampa Bay insurance claim law firm specializing in homeowner insurance claims and commercial property insurance claims, including hurricane insurance claims, storm insurance claims, hail insurance claims, and roof leak insurance claims. If you experienced damage to your home or commercial property caused by a hurricane, storm, or hail, please contact us promptly for help. If your insurance company is delaying your hurricane or storm claim, denied your hurricane or storm claim, or underpaid or lowballed your hurricane or storm claim, contact us today.